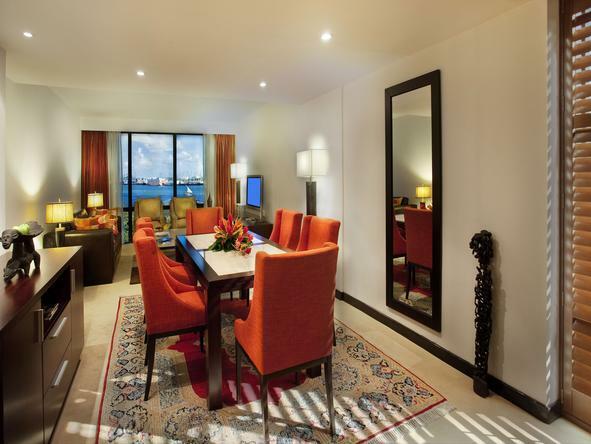 Hyatt Regency Dar es Salaam, The Kilimanjaro: a modern oasis in the heart of the largest Tanzanian city. 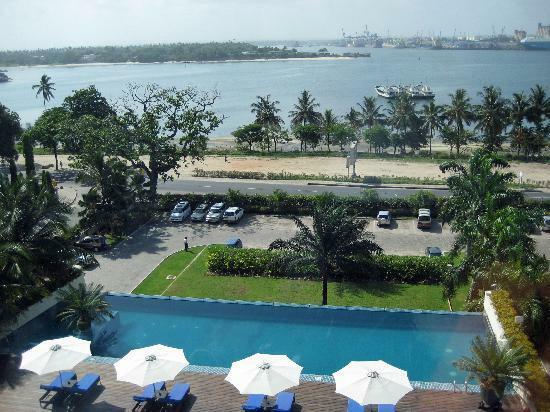 Its waterfront location, spectacular views of the harbour and Indian Ocean, and proximity to the city’s International Airport ensure it is among the best-situated luxury hotels in Dar es Salaam, Tanzania. The luxurious five-star hotel offers perhaps the finest accommodation to be found in any of Tanzania’s hotels, featuring 180 spacious and comfortably appointed rooms and suites with authentic hospitality, deluxe amenities and extensive business facilities to meet the needs of all travellers. Guests of our hotel in Dar es Salaam staying on the Regency Club™ level enjoy deluxe in-room amenities as well as complimentary daily continental breakfast, all-day tea and coffee, and evening cocktails. The hotel has two renowned restaurants: The Palm and The Oriental, where an international team of chefs offers a wide choice to meet your tastes, from European specialties and classic Swahili dishes to fresh sushi and sashimi and other Asian classics. The flame Tree Lounge has a lively lounge atmosphere with an outdoor terrace for morning coffee, light lunches, afternoon tea and evening cocktails. Citrus Bar is our poolside bar, which offers exotic fruit juices, smoothies, iced teas and cocktails.